Google has rolled out new Assistant integration in Google Maps. Google Assistant can help users make calls, play music, and more without leaving the navigation app. It appears to be live in version 10.4.1 of Maps. Google has rolled out a new version of Maps with an optimized Google Assistant. The new Assistant integration opens up additional possibilities and superior hands-free navigation thanks to its new low profile (via 9to5Google). 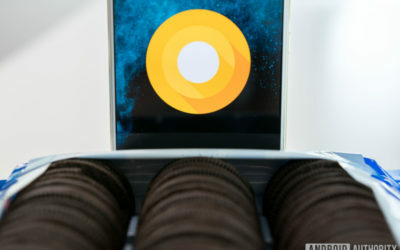 The update comes with a new multi-colored Google Assistant microphone button as well as a new ‘listening’ symbol that appears unobtrusively at the bottom of the screen. The update is said to be present in Maps version 10.4.1, which is now rolling out. Those already familiar with Maps may know you can use already use your voice for navigation. However, as well as the superior visual implementation, Assistant now comes with some additional features. These include allowing you to play music, send SMS messages, and more without leaving the Maps app. You can do this using the OK Google hotword to begin or by tapping the microphone icon. Google had previously discussed the Maps/Assistant integration at I/O 2018 and the changes are intended to help drivers focus on the roads rather than their handsets. It seems like a sensible update. This isn’t the only Assistant-related feature we’ve seen roll out in the past week, though — check out its new broadcast replies, list creation, and pretty please features.